More than half of shoppers in Cardiff are put off buying ethical products because they’re too expensive, new research has revealed. The survey, commissioned by the Fairtrade Foundation for Fairtrade Fortnight also found that 16.7% of consumers don’t buy ethical products because they “don’t trust claims” made about ethically-sourced products. The new research has shown that 88.4% of shoppers in Cardiff think that price is an important factor when considering where to shop. This is followed by the quality of products (79.5%), the location (74.4%) and then the ethical credentials of the store (47.4%). Almost half (44.9%) of respondents were unaware of exploitation in the food chain, while more than a quarter (26.9%) of consumers in Cardiff admit to never thinking about who produces their food and drink. Only 10.9% of the survey admitted to ‘always’ thinking about who produces their food and drink. When it comes to the Fairtrade products that we are buying, the top most purchased is – unsurprisingly – bananas with 32.1% of us buying them. Second is coffee at 28.2% and third is tea at 24.4%. 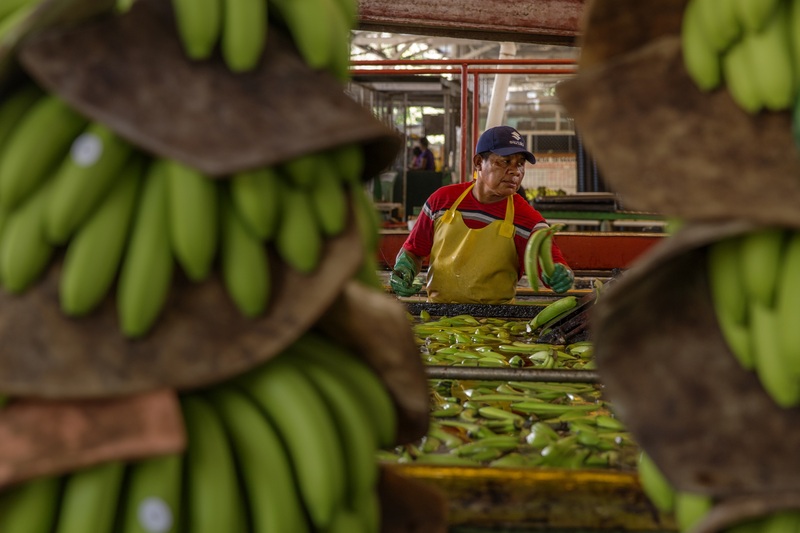 With banana sales in the UK expected to reach 820,000 tonnes this year (that’s over 1,500 Boeing 747’s), can more be done to encourage Brits to buy Fairtrade? The research was released to mark the start of the Fairtrade Fortnight “Come On In” campaign, inviting members of the public to “come on in” to Fairtrade and experience the world of the people who produce the things we love to eat, drink, and wear. The campaign will also explore how businesses, farmers, workers and shoppers come together through Fairtrade to break the stranglehold of poverty prices.